The summer sun is shining, there’s a hazy wave of heat beating off the pavement, and you’re feeling hotter than a jalapeño’s armpit. When an ice cream van comes into view, it’s like spotting an oasis in the desert. 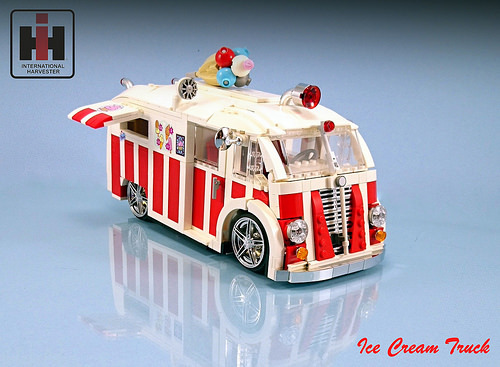 Firas Abu-Jaber has converted his International Harvester Metro into a vintage ice cream truck, all ready to serve up delicious cool treats. The classic red and white candy stripe body paint is sure to catch the attention along with some tinkling music. 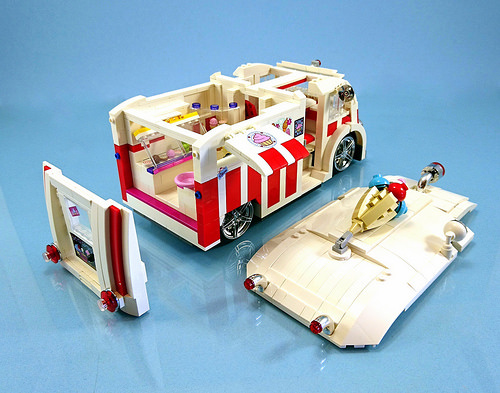 This 1:17 scale model is not just about the candy stripe exterior. The interior is easily accessed via the removable roof and rear panel and contains freezers full of everything required to satisfy your ice cream cravings.